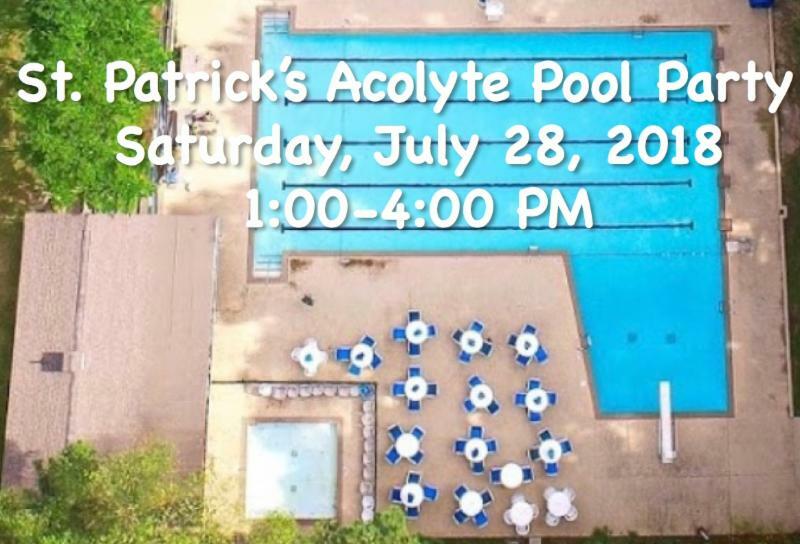 Current, past, & future acolytes are invited to a pool party Saturday, July 28, 1-4 p.m. at the Georgetown Rec Center, 4307 Old Georgetown Trail, Dunwoody. Meet at the clubhouse for snacks and games. Bring a towel if you want to swim. We’ll have fun rain or shine. RSVP to Dana Dolan by July 26 if you haven’t already responded to the invite.